No more worries about kids ingesting poisonous fluoride and other abrasive unnecessary chemicals but instead the whole family can enjoy the natural properties of reducing cavities and gum inflammation as well as detoxifying benefits and immune support of Calcium Bentonite Clay and Essential Oils! Prevention is the best medicine, that’s why all 3 ingredient in Nature’s Green Toothpaste optimizes your body at self healing. 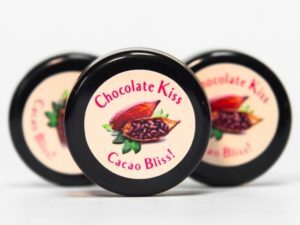 Surprise your palate with the choice of natural toothpaste made with the essential oils of peppermint, spearmint, wintergreen, orange, (mint chocolate or orange chocolate – kids favorite, made with a drop of Organic Chocolate Stevia per parent request). 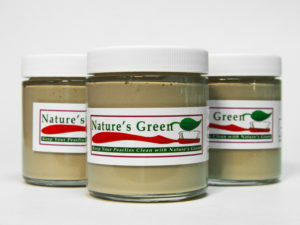 Available for purchase in the office in 1oz and 4oz glass jars. Calcuim Bentonite Clay – 71 trace and ultra- minerals, which enable the body to absorb nutrients. Bentonite Clay is a dietary supplement, hence is edible and when mixed with water, adsorbs positively charged toxins (heavy metals- mercury in the metal fillings, cancer causing free radicals, pesticides-roundup) like sticky paper and then absorbs these toxins, by drawing them inside of the clay molecules like a porous kitchen sponge. 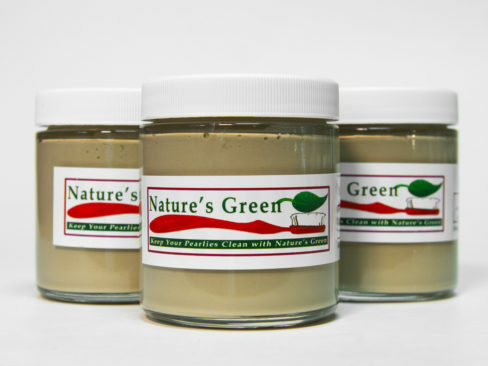 Bentonite clay also boosting the immune system by keeping viruses, fungus and bacteria out of the body as well as balancing – key factor to keeping cavities causing bacteria at bay and a must have for a perfect digestion. And even if you’re not quite ready for the edible effects of clay, even brushing and rinsing your mouth with it, shows the detoxifying effects of heavy metals and palliative and calming effect on the inflamed gums. We use www.naturescleansingclay.com. Please visit their website for more info about their clay. Alkaline water – neutralize acidity in the mouth and promote tooth and gum health. We use TYENT water ionizer for all our alkaline water products. 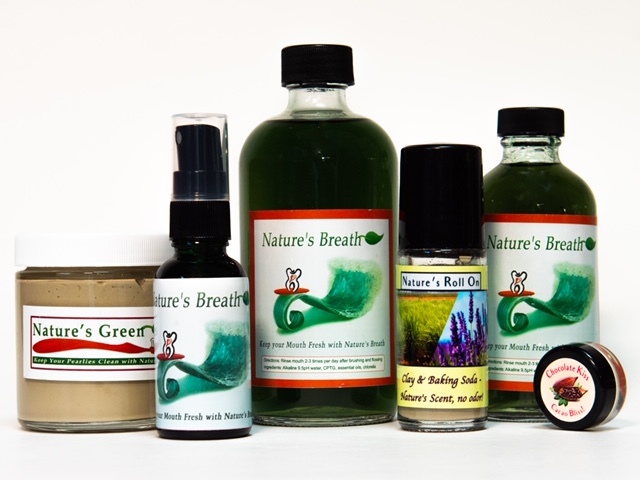 Essential Oils – Certified Pure Therapeutic Grade essential oils. Across Europe, India and Asia, it is a popular and ancient practice to ingest essential oils and use them internally. Doctors and other medical practitioners in those countries often prescribe the ingestion of essential oils to heal or manage health issues and to bolster immunity. Even topical application of essential oils shown to reduce gum inflammation and some infections and act as pain relief. We use doTERRA essential oils throughout the office- in all the dental products and the diffusers. 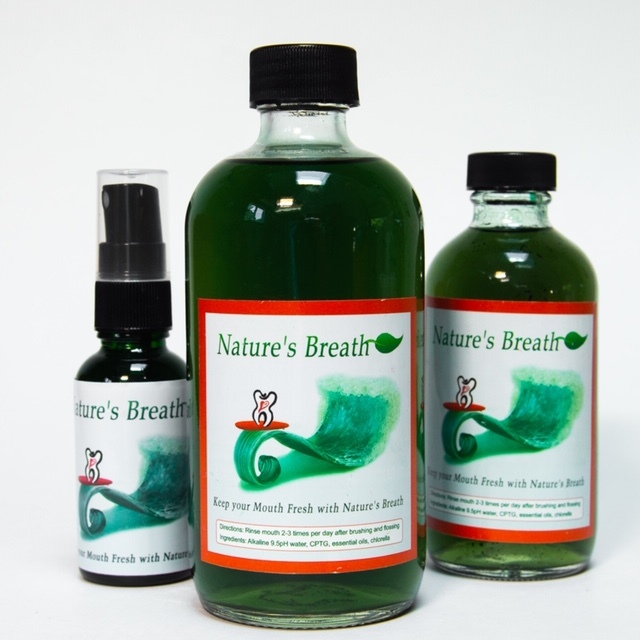 Surprise your palate with the choice of natural mouthwash or breath spay made with the essential oils of peppermint, spearmint or wintergreen. Available for purchase in the office in 4oz and 8oz glass bottles. Chlorella – Chlorella is a single celled fresh water algae. It contains high levels of chlorophyll hence its green color, which acts like a heavy metals (including mercury, lead, cadmium and uranium) detoxifier. Ingredients: cacao butter, jojoba oil, essential oils. 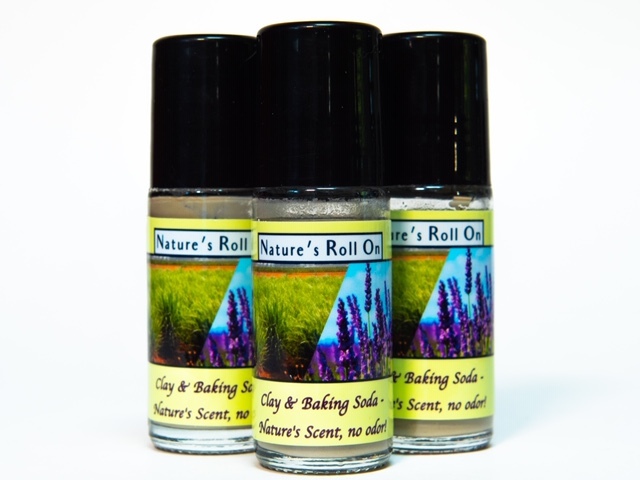 Ingredients: acidic water, calcium bentonite clay, baking soda, essential oils, available in a roll on glass bottle in a lavender & lemongrass scent.